As a homeowner, you are likely going to find yourself in a position at some point or another where you are faced with the prospect of replacing your home's old siding. When this happens, you have an important decision in front of you. 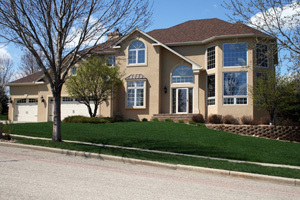 What kind of siding are you going to choose to put on your home now? Do you want to just go with the same old thing, or do you think its the right time to venture out and try something new. When it comes time to replace the old siding on your home, you might want to take this time to consider all of the benefits that investing in new fiber cement siding can bring to your home. Fiber cement siding is a practical siding solution that is eco-friendly, and can add a great deal of value to your home in more ways than you might think, especially when compared to vinyl, aluminum, or wood might not be able to match. If you are still on the fence about it, then take the time to read through this short article put together by our team of professionals. Below, we will go over some of the biggest benefits that you can hope to gain by making the investment in new fiber cement siding for your home. Due to its unique construction, fiber cement siding can provide you with a high quality surface for the exterior of your home that is resistant to both insects and fire. The surface of fiber cement siding is impermeable, making it impossible for insects to penetrate the surface and form colonies or infestations below the surface. In addition, because of the materials used in its construction, fiber cement siding has a flame-spread index of zero, as well as a zero smoke-development score, making it one of the safest siding materials on the market today. When you make the investment in fiber cement siding, you are making an investment in the overall security of your home in a way that you just won't be able to with other siding materials. If you are having to replace your old siding because it has become worn out, cracked, warped, faded, or has started rotting over recent years, it might be worth looking into fiber cement siding for the sheer fact that it doesn't suffer from the above problems to the same degree that more conventional siding materials do. Fiber cement siding is extremely durable, and as such, it doesn't suffer damage to the same degree or at the same right that you might expect with other siding materials. Fiber cement siding can stand up to even the most extreme weather conditions, like rain, snow, frost, humidity, and even changing temperature extremes, and still come out the other siding looking great. When you are looking to make a long term investment in the quality of the exterior of your home, you can't go wrong with new fiber cement siding. In almost any construction project, there is a great deal of waste that is produced, whether this is from debris, or just leftover materials that weren't able to be used during the project. In an effort to help protect the environment, however, manufacturers construct fiber cement from recycled and sustainable products. Fiber cement products are also asbestos free, and contain a wide range of non-toxic components. As we've stated multiple times above, fiber cement siding is an investment in your home, and as such, it can help you to save some serious money over the life of your home. Because of its longevity, fiber cement can help you reduce the long term costs of having to replace your siding again a few years down the line, and has been shown to give a noticeable increase in the value of homes that it is installed on. Finally, fiber cement siding forms an additional layer of insulation for your home, which can go a long way in helping you save money on your monthly energy bills. 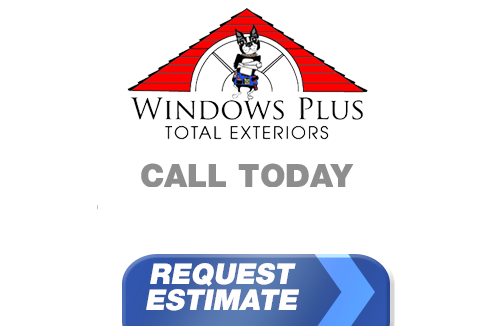 If you live in Pennsylvania or Delaware and you are interested in professionally installed siding, call the pros at Windows Plus today at 610-572-4733 or fill out our online request form.